Stay at the best luxury hotels in Colonia del Sacramento, Uruguay. 5 star luxurious hotels, 4 star deluxe hotels. Luxury accommodation in Colonia del Sacramento. incredible destination is the ideal ambiance for people looking for a quiet and peaceful surrounding. 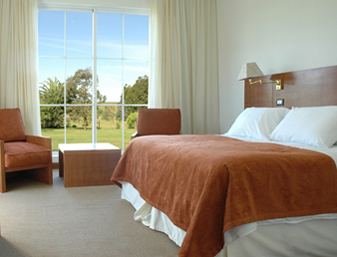 We offer 60 spacious Colonia del Sacramento hotel rooms with Brazilian wood furniture and European-style bathrooms. Most of them feature large balconies overlooking the Rio de la Plata, where you can enjoy stunning views of the bay and spectacular sunsets. Sheraton Colonia Golf & Spa Resort offers 92 spacious guest rooms, including 84 Classic Rooms with golf course or river view, 4 Deluxe Rooms and 4 Master Suites with river view, where you will be able to enjoy incredible sunsets. This wonderful place has fully equipped rooms. You can find in them: color TV; air conditioning cold-heat, fridge, minibar, Direct Dial International Phone, hair dryer, safe box, functional music and room service. If what you prefer is a suite, you will be able to enjoy of more comfortable atmosphere. The same one possesses Jacuzzi that let you relax. At present Don Antonio Posada has 37 rooms. Our aim is to harmoniously blend the peaceful and cosy atmosphere of old times with the comfort and quality guests are looking for when staying with us today. Don Antonio Posada offers the most modern services within a colonial style, all what creates a unique atmosphere. 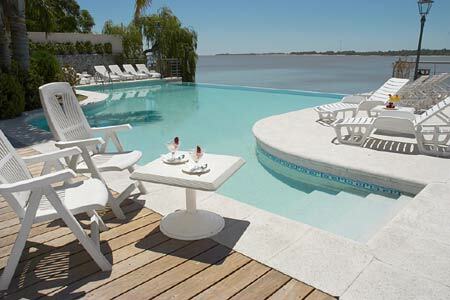 Luxury hotels in Colonia del Sacramento, Uruguay. 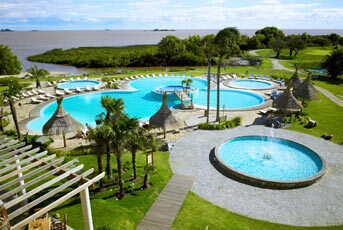 5 star luxury hotels in Colonia, 4 star luxury hotels in Uruguay. 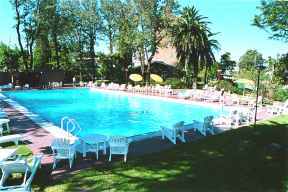 The best luxury hotels in Colonia del Sacramento, accommodation in luxurious Colonia hotels. With its excellent, affordable accommodation in Colonia D Sacramento, El Mirador is an ideal place for both leisure and business travellers. The hotel has 101 rooms that are well decorated and equipped with several modern amenities. Attentive room service is also available for your convenience. 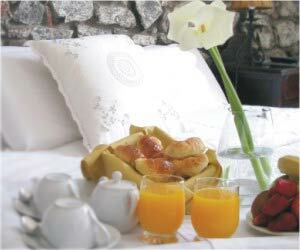 The hotel has a gourmet restaurant Chez Adele, serving French cuisine, and a 24-hour bar and cafeteria. Guest rooms in the Posada Del Virrey Hotel in Colonia are spacious, tastefully decorated and have amenities that include an en suite bathroom, air conditioning, direct dial telephone, mini bar and satellite/cable TV. 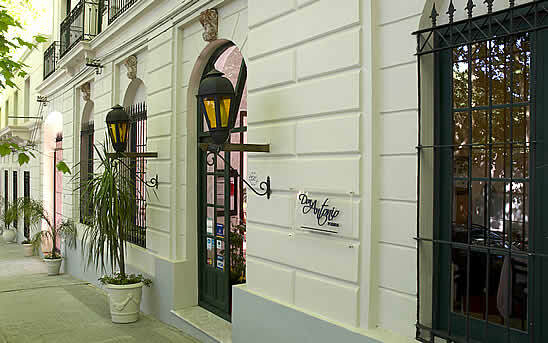 Whether travelling on business or leisure the Posada Del Virrey Hotel in Colonia is an ideal base for exploring the magical historical city of Colonia.